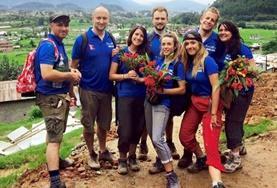 Nepal boasts breath-taking natural beauty; an idyllic setting to explore with your group whilst volunteering. 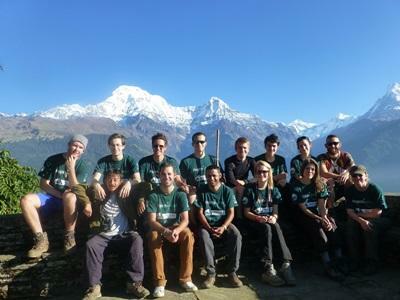 Our group trips in Nepal are open to anyone with a passion for volunteering together in the developing world; including those at school, in a community group, at university or working together. 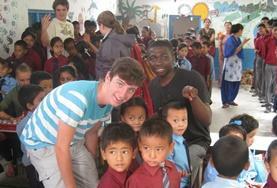 Projects Abroad has many projects that volunteers can join in Nepal. 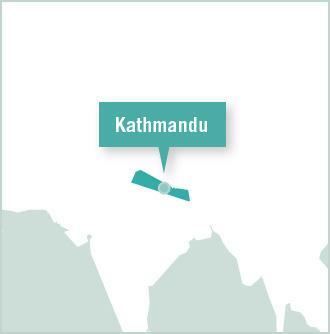 Volunteers will be based in the hectic city of Kathmandu; where auto-rickshaws and jostling crowds make each journey into a mini adventure. 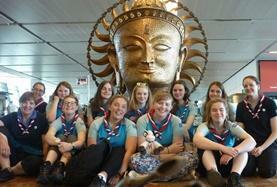 A quieter option is staying in Chitwan. Groups can work on Care/Teaching, Community, Conservation, and Medicine & Healthcare – including Medicine, Nursing and Physiotherapy Projects. 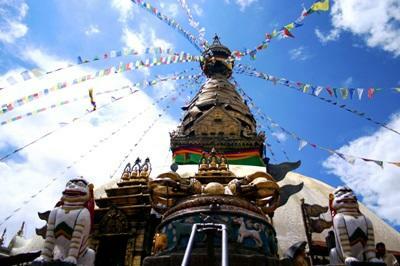 Set predominantly in the awe-inspiring Himalayan mountain range and home to the world’s highest peak; Mount Everest, Nepal is a magical land full of majestic old temples and colourful cities. Despite most of the country being located within the Himalayan mountain range, along its southern border the mountains give way to green paddy fields and jungles teeming with exotic wildlife. The huge diversity of habitats and landscapes along this country have made it one of the most biodiverse countries on Earth, definitely somewhere that any traveller should make a visit to! In April of 2015, Nepal suffered a catastrophic earthquake which affected the entire region, destroyed many old buildings and temples as well as affecting the lives of millions of people. The country has since been deemed safe to visit and, through the sheer resilience of its people, is now bouncing back and rebuilding. Despite this, the people still welcome any help that is available and now is a perfect time to volunteer in Nepal and make a big difference in the local communities. 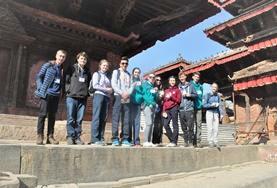 Projects Abroad is based in three locations throughout Nepal. 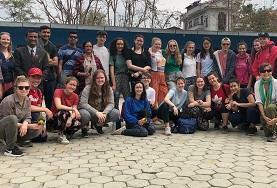 Most of our volunteers are based in the capital of Kathmandu; a city full of jostling crowds, rickety bullock carts and noisy auto-rickshaws. The streets of this city are full of medieval temples which boast the cultural and artistic heritage of the country. 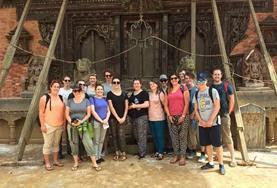 We also have volunteers on some of our Medical and Care placements that are located in the lowlands area of Chitwan, as well as in Gandruk for volunteers on our Conservation placement. Most of our groups stay in a hostel or a local hotel so that organisation of work and free-time amongst each other is easier. 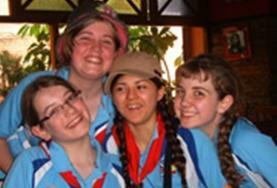 In the evenings and at the weekends, groups have free time to explore and spend as they wish. 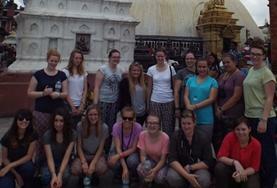 Kathmandu attracts pilgrims as well as tourists, so there are plenty of religious festivals and temples to visit. 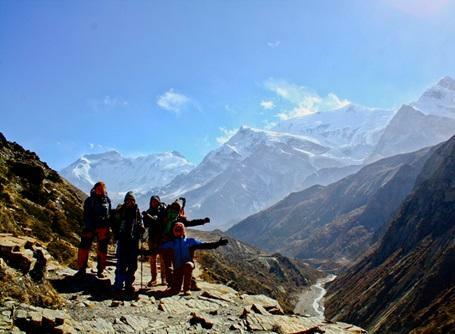 For the more adventurous individuals and groups, Nepal is ideal for anyone who loves the outdoors. Whether its hiking through the mountains, white-water rafting down glacial rivers, hitting the trails on mountain bikes or visiting local climbing centres, there is something here to get anybody’s blood flowing!